How many se'ifim (not simanim) are there in the entire Shulchan Aruch? Not just Orach Chaim and not the Kitzur, but the entire, unabridged sefer. I'm trying to figure out scheduling for reviewing large parts of it. There are 13,550 seifim in Shulchan Aruch. I looked at the beginning of every siman where it says how many seifim are in that siman. I input all the data into an Excel sheet and let it calculate the totals. In Orach Chaim the original Venice 1565 edition had no siman 603. The modern edition that I used simply took the second seif from siman 602 and made it its own siman using the number 603. The total number of seifim was not affected by this. In Yoreh Deiah there were two places where the siman numbers are corrupted. In the original Venice 1565 edition, 169 was skipped. In the modern edition that I used they simply labeled that siman as 168/169 with 27 seifim. In the original edition the number 296 was used twice (in the modern edition I used it was 297 that was used twice) so they appear as two separate simanim. There were also (at least) two simanim that had the wrong amount of seifim listed in the title. Siman 234 lists 72 seifim in the title but actually has 74 seifim (both in the modern edition I used as well as in the original Venice 1565 edition.) Siman 340 lists 40 seifim in the title but actually has 39 seifim in the original edition. The modern edition corrected the title to list 39 seifim. In Even HaEzer there were two sections with no siman numbers. Seder HaGet and Seder Chalitza were counted as their own simanim, with 101 and 57 seifim respectively. In O.C. 106 the original edition has 3 seifim while the Wikisource has 2 (it incorporates seif 2 into seif 1). In O.C. 219 the original edition has 9 seifim while Tzuras Hadaf and Sefaria have 10 seifim (both of them break off the last bit of the last seif into a new seif, yet they both only list 9 seifim). In O.C. 601 and 602 the original edition had 2 seifim in each. However, the original edition skipped the number 603 for the next siman (i.e the siman after 602 is 604) so other versions tried to compensate to keep the numbers accurate. 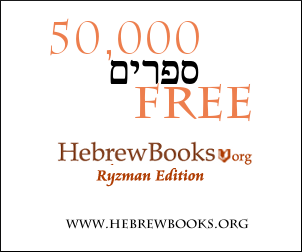 The Tzuras Hadaf edition and the Wikisource simply separated the second seif from 602 and called it siman 603, thus the total number of seifim is unchanged. Sefaria also split off that seif into a siman 603, but for some reason it has the first seif of 602 twice in siman 602, so the total number of seifim becomes off by 1. In Y.D. 32 the original edition has 7 seifim while the Wikisource has 8 seifim (it splits off the last bit of seif 7 into a new seif). In C.M. 41 Sefaria duplicates the last seif, so it has 5 seifim instead of 4. In C.M. 74 Sefaria duplicates the last seif, so it has 8 seifim instead of 7. In C.M. 76 Sefaria duplicates the last seif, so it has 4 seifim instead of 3. My data is based on the siman titles in the Tzuras Hadaf edition. If there are any mistakes in the siman titles regarding the number of seifim in the siman then my data for that siman will be mistaken. Additionally, it is possible that I may have made data entry errors, in which case some of the numbers might be incorrect. However, as per above, I corrected errors by consulting the original edition in any case of discrepancy. So unless there was a case where the Tzuras Hadaf edition, the Wikisource, and Sefaria all differed from the original edition in the same siman with the exact same difference, any errors were presumably caught. I believe this would make an enjoyable web-scraping project, which might yield a more easily reproducible (and checkable) result. I've scraped the numbers from WikiSource, and gotten a total for Orach Chaim of 4175 (one away from Sam's answer). The fact that people have gotten such disparate answers implies to me that different editions might count se'ifim differently. WikiSource is missing se'if numbers for at least some simanim in the other three sections, but I think I can get around this by scraping one level down - isolating the links to individual simanim, crawling each one programmatically and counting the number of headings with the word "סעיף". But it might take me a while. In the meantime, my code is available (in a Jupyter notebook) here. EDIT: Finished, code is on Github. In OC 106 and 219, Sefaria splits seifim in a way that WikiSource does not, not in line with the traditional split. Siman 602 erroneously duplicates a siman. That also happens in CM 41, 74 and 76. Thus, I believe the counts of OC 4169/4171 and CM 3692 most accurate. On EH, the counts concur on 1988 seifim. On YD, the method I used to parse Sefaria's raw text made some mistakes which don't appear in Sefaria's text itself. I believe the most accurate answer is 3701 seifim. Thanks to Alex for valuable feedback. So I decided to try counting for Orach Chaim ,and surprisingly did not take long at all (one hour around). I used excel to calculate the sum of all the seifim in all the simanim. Orach Chaim = 697 simanim which has a total of 4174 seifim. The avg amount is 6.04 seifeim in a siman. The max is 52 and min is 1. The other 3 are a work in progress. I used the Shulchan Aruch in one volume mentioned in a comment by Oliver and counted the seifim. I scanned the page (optically) and mentally added as I turned the pages. Usually when I got to a high enough number and I didn't want to lose the count, I wrote the number down. Occasionally I stopped to read an interesting siman. When I had one section completed I pasted that number here to get the sum. During the count I noticed some very big simanim (in terms of seif count). So, for trivia, chapter 331 in YoreH Deah has 146 seifim, the most in Shulchan Aruch. Second place is in Ever Haezer, the nameless siman between 154 and 155 (i.e. Seder HaGet) has 101. In Choshen Mishpat there is a another numberless siman between 25 and 26 (and Even Haezer between 169-170), all of which were included in this count. My counts may contain human error; but it'll get you to where you need to go. Not the answer you're looking for? Browse other questions tagged shulchan-aruch statistics .